Review by AllTheBestFights.com: 2018-10-06, fight not particularly good between Felice Herrig and Michelle Waterson: it gets two stars. Felice Herrig entered this fight with a professional record of 14-7-0 (36% finishing rate) and she is ranked as the No.12 women’s strawweight in the world but she comes off the loss against Karolina Kowalkiewicz. Before this bout, in 2017, she had beat Alexa Grasso (Alexa Grasso vs Felice Herrig), Justine Kish and Cortney Casey. Her opponent, the black belt in American freestyle karate and former Invicta Fc atomweight champion Michelle Waterson, has a mma record of 15-6-0 (80% finishing rate) and she entered as the No.20 in the same weight class but she lost two out of his last three fights, against Rose Namajunas (Rose Namajunas vs Michelle Waterson) and Tecia Torres; after this bout she has beat Cortney Casey. 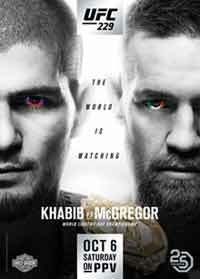 Herrig vs Waterson is on the undercard of Khabib Nurmagomedov vs Conor McGregor – UFC 229. Watch the video and rate this fight!